For the price of the Iraq War, we could've paid off all the damage from Hurricane Katrina and the next thirty equally devastating hurricanes. Hurricane Katrina, the costliest hurricane in American history, did $89.2 billion worth of damage in 2008 dollars. 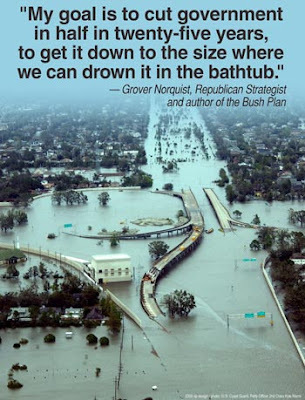 Paying off all the damage for Katrina, as well as thirty future hurricanes of the same size, would've cost $2.77 trillion, which is less than Joseph Stiglitz and Linda Bilmes' estimate of $3 trillion for the cost of the Iraq War.